If you’re interested in wreck photography, I wrote the Ultimate Guide to Wreck Photography over on Moziak UW Cameras. Watch that space for more articles on underwater photography tips. In January I returned to Fiji after eight years and visited the amazing VoliVoli Beach Resort and dived with Ra Divers. I used to go to Fiji regularly when I was living in Hawaii and it was amazing to return to a place that has so many great memories and is still just as beautiful both above and below the water. Here’s my feature on DivePhotoGuide. UK Diver magazine published an excerpt from my book earlier this month. You can view it online here. You can order your own copy from Amazon and other book sellers. Over at Ikelite they posted a review of last year’s Roatan Underwater Photo Fest. We had such a great time and Ikelite was a generous sponsor to our photo contest yet again. 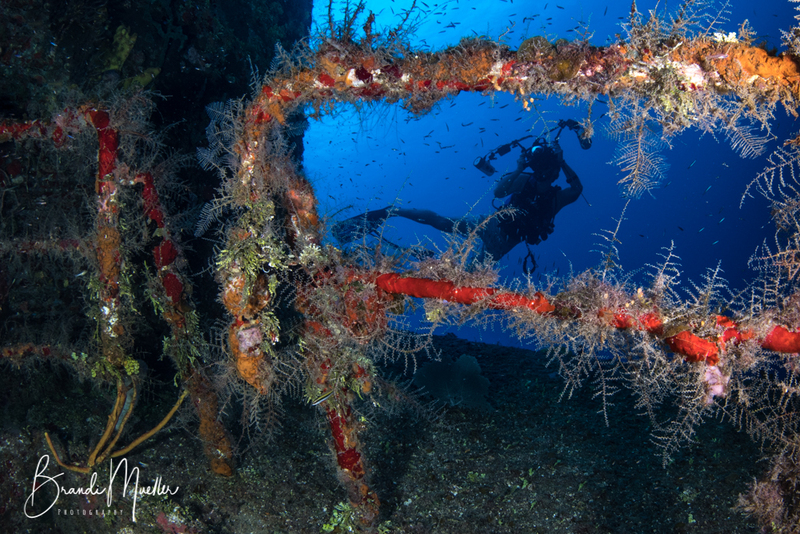 Want to dive and photograph the best of Roatan? Join Andrew Raak and me November 2-9th this fall at Turquoise Bay Resort. We do 2-3 dives a day, give talks on uw photo tips, are on-call to answer any questions that arise during the whole trip from setting up your camera, to on the boat and underwater, and nightly sessions on all sorts of topics like macro, lighting, editing, etc. There is also a photo contest at the end of the week with great prizes from lots of sponsors including Ikelite. Check out www.roatanunderwaterphotofest.com for more info, or send me a message!